We’re excited to announce that Wallboard Statistic features are now available for all Enterprise plans. With Wallboards, your more important call queue statistics are readily available on-screen. Customise wallboards with the features you and your team need to see the most. So if you need to see the average call wait times at a glance, that’s no problem at all. This feature can be a great motivator for teams while still providing team supervisors with a top down overview of all incoming call queues to your chosen call routes. With per user leaderboard views, graph views over time and more, you can choose the Wallboard to suit your needs. 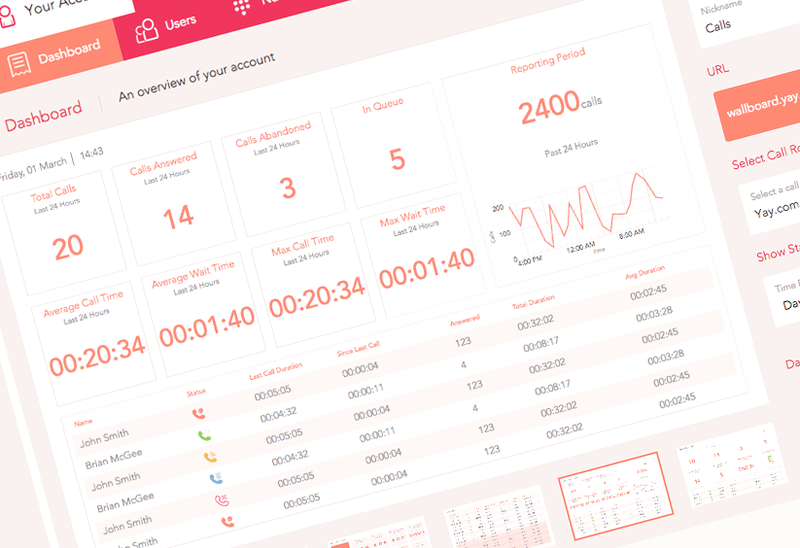 See real-time call queue stats elegantly displayed in a variety of easy-to-read formats. Pick from light or dark themes as required and even set up multiple Wallboards for different purposes. Try it out to see just how easy it is to set up Wallboards. Create custom URLs for each Wallboard deployment too, so whether you are on the go or in the office, you can view your call queues stats from the comfort of your own smartphone, tablet or Internet connected large screen LCD/Plasma display. If you're using our VoIP API, its even possible to create your own Wallboards fronm scratch. This feature is a must for businesses with high call volumes or those who simply want to make it easier to view and break out call queue flows. Wallboards are simple to set up so your organisation can be up and running in a matter of minutes. Enjoy accurate and real-time performance statistics without the need for extra software, additional hardware, installation fees or the need to waste time searching for those stats you need. Log in to your Enterprise account today to take full advantage of Wallboard Call Statistics. 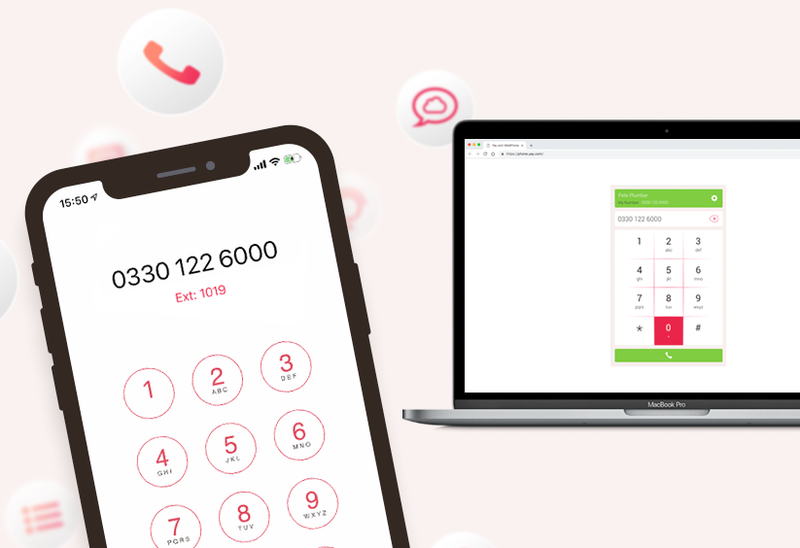 If you’ve not made the jump to a VoIP phone system, enjoy our powerful VoIP phone system features and try out our service free for 14 days today! 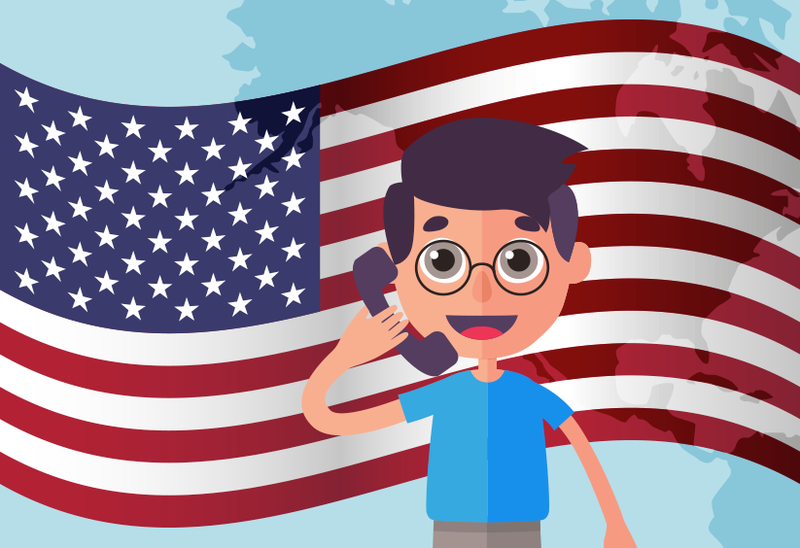 Get a North American US phone number for your business and grow your presence in one of the world's largest markets.